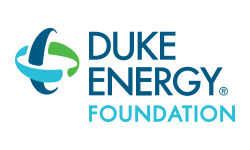 The Duke Energy Foundation has awarded the Great Oaks Education Foundation funds to support high school and adult students as they begin their career. Bridging the Gap to Employment focuses on preparing our students with the education and tools needed for their career field. We believe by helping our students with tool costs while in school (adults) as well as for employment (high school) we will be able to help fill employment gaps in critical areas, which has a direct impact on our communities. The student has reliable transportation. The student is eligible for placement. The student is employed or placement paperwork has been submitted. The student has a financial need. Career Technical instructors initiate the application on behalf of the student by filling out the form below.